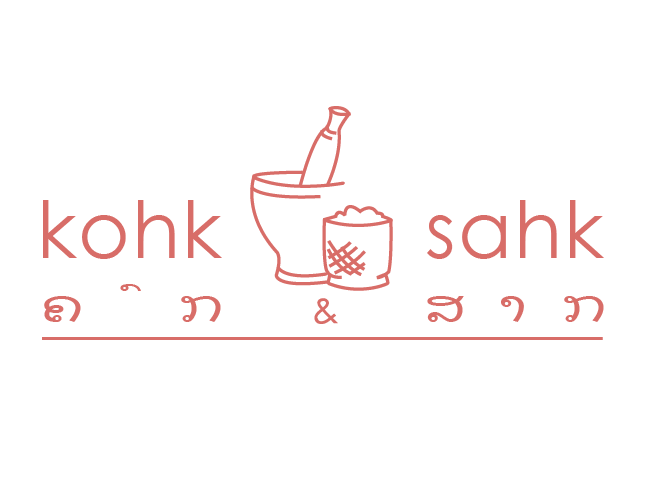 This month, Lao American entrepreneur Thip Soulisak and his colleagues have been running an indiegogo campaign for Kohk and Sahk, a California-based startup that hopes to bring Lao cooking to more households. They hope to raise $12,000 and are asking the community for help. 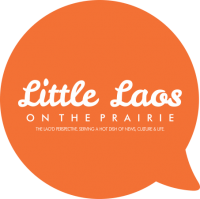 Little Laos on the Prairie caught up with Thip to ask him about his journey and what it means to him. A little shy, he really comes to life when he gets to talk about his passions and helping the Lao community. Little Laos on the Prairie thinks we’ll be seeing much more of him the future, however, as part of the next generation of entrpreneurs who want to make a positive difference in their communities. How did you get started with Kohk and Sahk? My mom has been selling food since I could remember as a way to supplement the family income. For a very long time I’ve always thought that my mom’s food is doing so well and so many people are requesting it, it really needed to be turned into a legitimate business and be shared with everyone. Even as a kid many of my friends would be excited and would ask me to bring her food, but it wasn’t until recently that I turned that thought into action. Sometimes we just think “this should happen” and “that should happen” but forget we’re the ones that should make it happen. What’s your favorite Lao dish? That’s a really tough to answer. There are so many dishes in general when it comes to Laotian cuisine and you never have just one. Even with one meal you have several dishes at once. I would never be able to give just one but I can list a few. I love the sour fermented stuff like som pha, som puk, som hoo moo and som kai pha, I can eat it all the time with my meal, with my snacks and all in between. I’m also a huge fan of lettuce wraps like mieng kham, nam kao, pun, mieng muang luang and sakoo. My love confession of Laotian food can go on and on but if I really have to narrow it down there’s two. One is a dish my mom cooks but not so traditional Lao, it’s a Laotian French fusion which is an influence of French presence in Laos. It is stir-fried blue crabs in butter with Laotian spices and seasonings. Of course being the grandson of someone from Luang Prabang my second favorite is awk larm. When made right I am just in love. Maybe it’s because I was born in a southern state and awk larm is the Laotian version of a great southern collard greens. If you could teach someone one one Lao phrase, what would it be, and why? “Jum jeow bon eun bol saep kue jum jeow bahn how” It means dipping sauce at other places will never taste as good as dipping sauce at our own home. It’s a Laotian metaphor. Dipping sauce is served with every meal; sometimes to dip your rice in and sometimes to dip your veggies but every Laotian meal is served with dipping sauce. In the metaphor it’s a way of saying that there is nothing as comparable to being at home with family. It could also refer to straying away from loved ones, or even refer to forgetting about your culture and heritage. This year marks the 40th year of the Lao diaspora. How did your family get started in America? It was rough for them. They showed up with not $1 in a foreign land that speaks a language they never spoke before. At first they stayed very briefly with my uncle who came to the US first. They lived in a 1-bedroom apartment with about 7 people. It consisted of my parents, siblings and uncle who at the time were very all very young. They worked two jobs and worked hard. They didn’t let life defeat them and kept on pushing. My parents didn’t even get any government assistant like food stamps or low income housing. They don’t have a problem with those that do but they felt they were two capable people and should try their best before resorting to those methods and making fewer resources available to someone who might really need it more than them. But their hard work paid off, they were able to buy a new home in a nice area, it was safe and with great schools. As far back as I could remember my family was a very social in the Laotian community and always faithful Buddhist that believed in giving. If you asked for something and they had it or were able to do it you can bet there’s a 99.9% chance you’ll get your request. ‘Til this day you can see my mom wake up every morning at 5:30am to go make breakfast for monks and stay to assist with lunch service where she would help other people bringing food to donate. Once lunch was served she’ll make her way to work and be home in bed around midnight all to start it over again the next day and mind you she’s also making food to sell in between the little time she has. But it’s always been that thought and mentality of work hard and giving back that although we may not have a lot I still consider it a triumph. What’s your word of advice for young Lao who want to get ahead? Take a page from my mom’s book, work hard and give just as much as you can. Although Kohk & Sahk is a recently started business, I also have another profession that I’ve been doing since a very young age, but I can never learn enough. I’m constantly reading different articles, doing research and just finding out as much information as I can to make sure I am the best I can be at what I’m doing. I apply that same thought to everything, it doesn’t matter how good I am in comparison to everyone else but what matters is I’ve made myself the best that I can be in all aspects and all things I work on. Getting ahead and success isn’t instant but when you keep on going, keep on pushing and push yourself to be your best, you’ll always find that the road to success. What’s your ultimate dream for Kohk & Sahk if it went worldwide? Worldwide? Just seeing that question asked gives me chills. It’s already going countrywide and that alone is something I’ve seen in my head but didn’t really think about how it would feel for it to actually happen. But I have no doubt it will, it’s already taking on a life of it’s own with people who I have no ties or connection to ordering regularly but the ultimate dream is to of course have a successful business that is an abundant resource for anyone that is interested in all things Laotian food related. I think even more important than the personal success of the business is that it’s an opportunity to educate everyone and not just the non-Laotians trying to learn about Laotian food but it’s also an opportunity to educate Laotians too. We’d be able to show the world and teach the world why Laotian cuisine is amazing, that it is just as great as other cultures and deserves it’s moment in the spotlight too. I want to show the world that although these old traditional recipes are not just bold, delicate, flavorful and delicious but also can be healthy for you and can be enjoyed as a part of normal everyday life. I don’t want to categorize myself as successful yet, but I can admit I’ve won little battles along the way that has made me feel extremely successful. But if we are speaking of when that exact moment when I feel success I can actually pin point it. It is usually when I see whatever I have done whether it be my food or other projects being enjoyed by someone else. The first bite they take of a dish I made, receiving from something out of me volunteering or the first time someone seeing a project I’ve done,there’s a glimmer of appreciation and intrigue in their eyes for what I’ve done, that’s the moment I feel joy and success. What’s one of the biggest risks you’ve ever taken? What made you take it? I graduated high school at age 18 and two months later I moved from my home state of Virginia(DC metro area) where I was born and raised to Los Angeles. I have a love for event design, entertainment and art. If I want to be the best event designer I can be I have to be surrounded by a place that throws the best designed events there is. The reason for why I took that risk is similar to the answer of when you asked about getting ahead, I truly believe pushing myself to be the best that I can be and in my thought taking that risk was required to make my dreams happen. What’s an element of Lao culture you’d change in the US if you could? What’s an element you’d keep? Laotian cultural studies when it comes to youth. Preserving the culture of our people is so important. When our family and parents fled Laos they didn’t come with any heirlooms or valuables to give us, they only had our culture. Sometimes our youth today forget that without all those Lao things our ancestors did back in the days they might not be here today. But I think that as Laotian food is starting to increase in popularity that may also change in a more positive direction. As things start trending and popularity starts growing it increases a spotlight on the cultural backgrounds of that item, so I’m very happy Laotian food is finally about to find fame. What’s an element I’d keep? That’s an easy answer; I’d keep the comradery and social culture of Laotian people. If you’re amongst an area that has a good amount of Laotians you’ll see them come together almost whenever they are free to cook, have drinks, relax, sing and just really welcome everyone to be a part of this amazing experience and this amazing time together. The feeling of being around a group of Laotians when they get together is really something everyone must experience and the great part is Laotians are always so welcome to let everyone join. 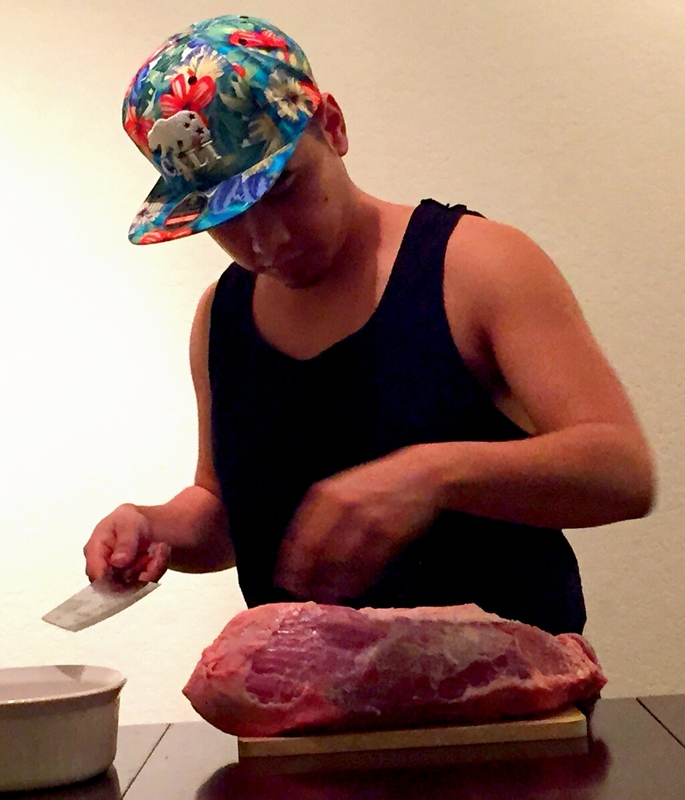 happy to hear/read about a young Laotian is that is heading for success. 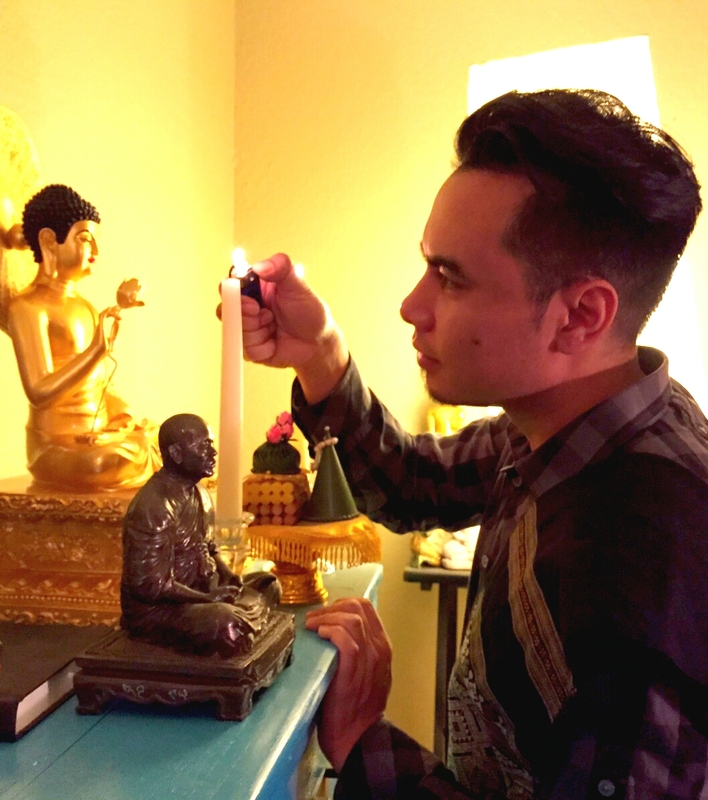 happy to hear/read about a young Laotian that is heading for success. I have visited Laos and loved the food, so it’s exciting to be able to find it here.